Welcome to Metal Remnants, Inc. The best source for cut to size metal! Next day shipping on stock orders. Most custom orders ship in 1-3 days! FREE SHIPPING ~ On orders over $200. 6061-T6 has traditional rounded ends. Expect variances if purchasing multiple pieces. Copper Architectural Angle is fabricated here in our facility from Copper cold rolled Sheet. Local Pickup is available in Salt Lake City... Select the shipping option "Will Call" during checkout. We will give you a call when your order is ready! Cut to size metal, buy only what you need. "Why buy a full length when all you need is a remnant?" Metal Remnants cut any custom or cut to size pieces of metal to your needs. 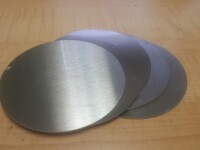 cuts, drops, or custom is what MetalRemnants.com can give you.